I Am Legend is housed in the food court of The Big Box at level 3. 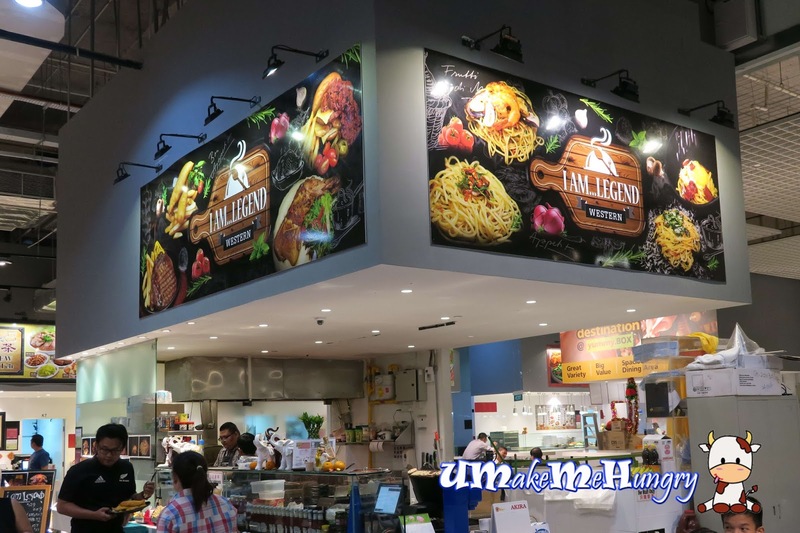 With The Big Box as Singapore's largest mega Warehouse Retail Mall, enjoy shopping and dining there as you will feel spacious with great ceiling height. 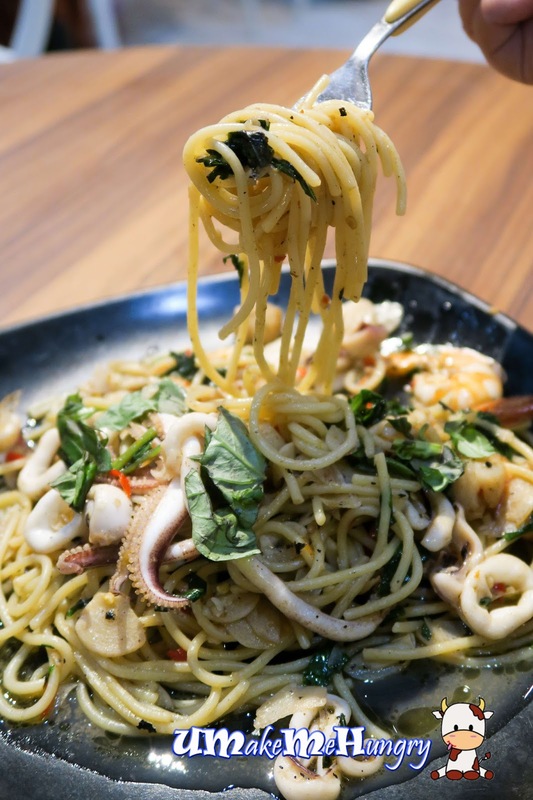 No doubt Seafood Aglio Olio was the first dish served out of the kitchen, its assortment of seafood had drawn a closer attention on us. 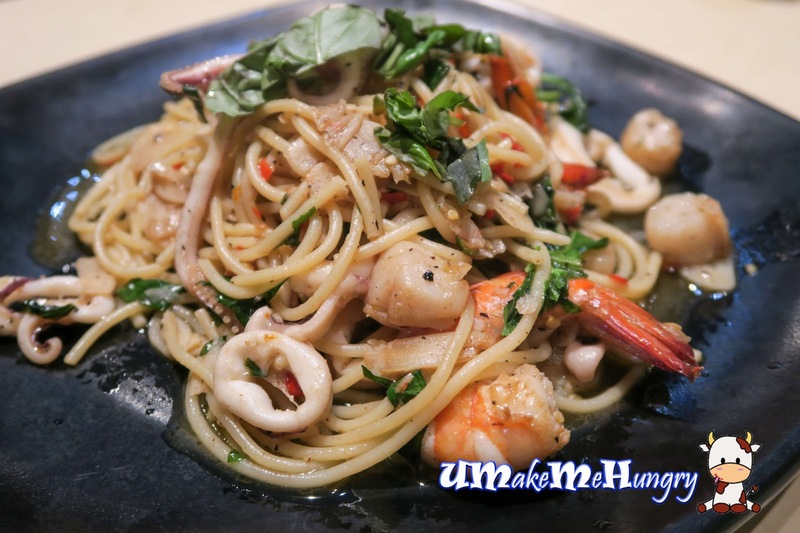 They are just never too stingy with the prawns, sotong (squids) and baby scallops used. The dish came to us in watery form which was an unusual sight as compared with the past Aglio Olio we had elsewhere. Nevertheless, it had a good spicy taste that perks up the dish. For those with low spicy tolerance, do remember to make your friendly request to reduce the level of spice. I Am Legend threw me a surprise with this item on its menu. 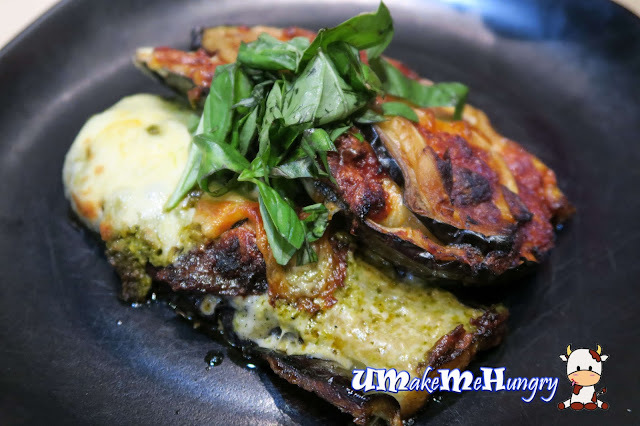 Pretty well grilled eggplant that still retain the moist and sponginess even after going through the heat. Presentation looked unappealing with hints that it might be soaking up most of the oil which deters healthy eaters from having them. Though mozzarella Cheese with pesto sauce were part of this make, i still find the dish lackuster. The truffle fries could not make justice to its price tag. There were little or none truffle fragrance since it was served. 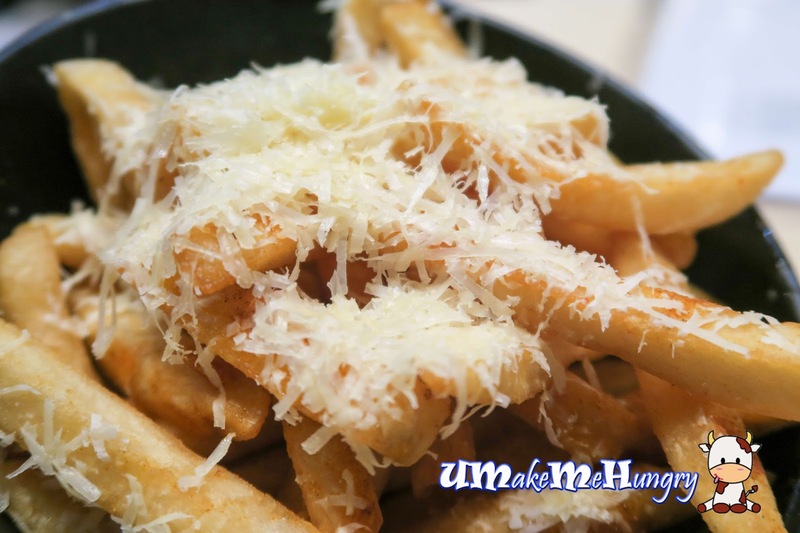 This finger food was plain usual leaving the only highlight with shaved Parmesan cheese topping up the fries. The pleasing rich look of the the Salted Egg Yolk was tempting enough for salted egg yolk lover like me.In fact, this dish will permanently be in the menu from 29th February. Chef personally explained that he made use of quality salted eggs from China, Vietnam and Taiwan. He had also added that these eggs were fermented for 3 days as a preparation to the dish. 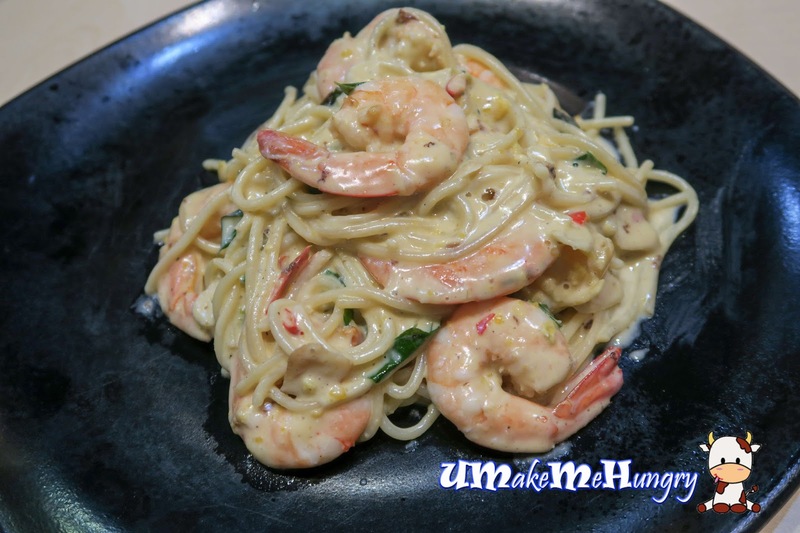 A generous amount of creamy salted egg coated prawns together with consistent texture of spaghetti was stomach warming. The use of curry leaves and bird-eye cut chilli had spiced up a little for the pasta. It's decent enough and of course there are better ones out there. For those who shared that thought of not ordering grilled fish from the Western Stall in Food Court, its time to make a change. Yes, it might be a little cumbersome to deal with fish bones but its all worth the trouble. Looking at the creased on its skin and its awesome taste from the brown savoury sauce, they were good to satiate your appetite. 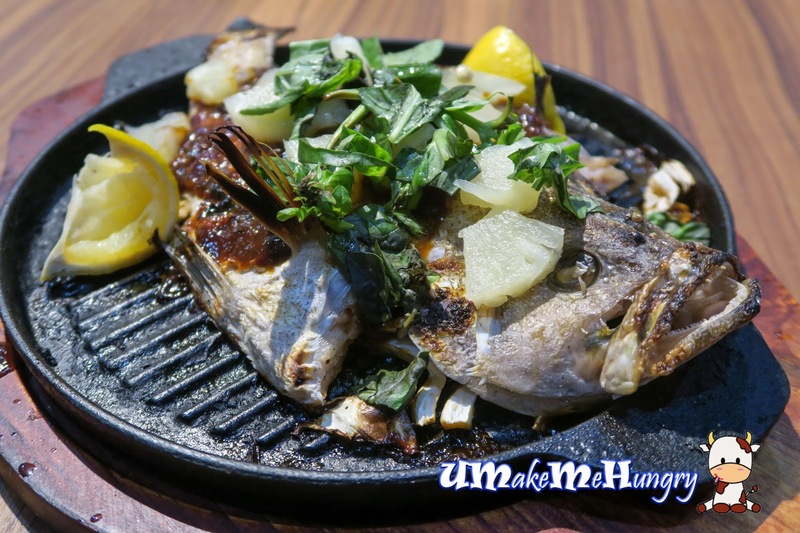 Having squeezed lemon juice to reduce the fishy taste, the grilled fish was perfect in its tangy, sweet taste coupled with a few slices of pineapple. 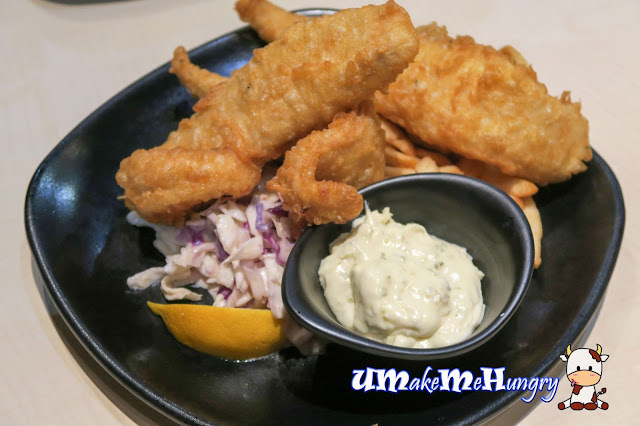 Making the table of us happy will be their Fish & Chips from the Dory Fish. With their home-brand Tatar Sauce that was a tad spicy to balance out the greasiness on these 3 big pieces of Fish remained good enough to keep the smiles on our faces. The battered layer was crispy and not too thick which led to a direct good bite from the golden layer into its chunky meat pieces while the sides like the fries & coleslaw were just ordinary. The smell from the charred mutton chops had already gave the dish away without us further guessing the items on the plate. These mutton chops were marinated before hand and one can really taste the "herby" flavours in it. Lamb chop is quite a heaty dish to me and I have to limit my intakes of this dish after all the Chinese new year goodies especially when the dipping sauce is black pepper. Though, it looked overcooked, the color of the lamb chop was not equivalent to the toughness of the meat. It remained as tender as what mutton chop is. Replacing the original sides with onions rings was seen as a good alternative as they were no typical flour batter without much taste of onions. Over here, its definite that you get to bite on the real onions no matter which piece you choose! Hits and Misses, given such Western Fusion Food sold in Food Court, standards were not bad and pricing is relatively cheaper, moreover serving is hearty. Since the actual launch of the dishes is on 29 Feb, they still have time to adjust and perfect the dishes. Do give this "Legend" your support! Last but not least, thanks OpenRice for the invitation.